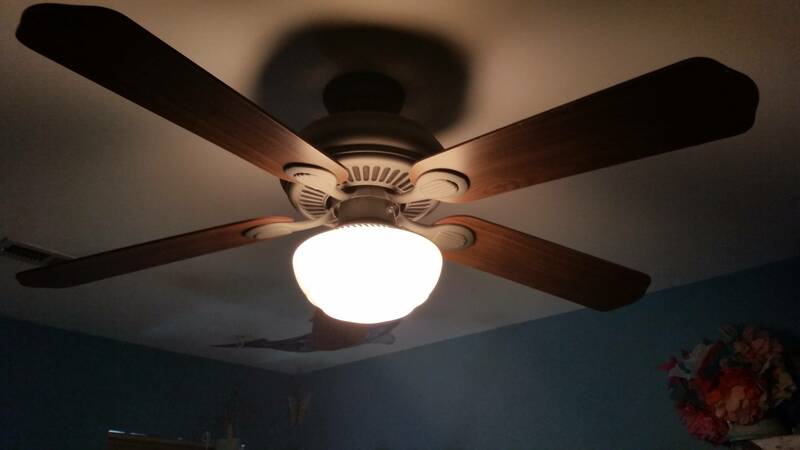 I have an older HAmpton Bay Ceiling Fan. Model EF200D, UPC# 082392774530. Much older fan, probably from about 1996, but it works great still, very quiet, balanced still. Just want to replace the globe and have hunted all over. Is this possible to find? Thank you for your question and welcome to our community! 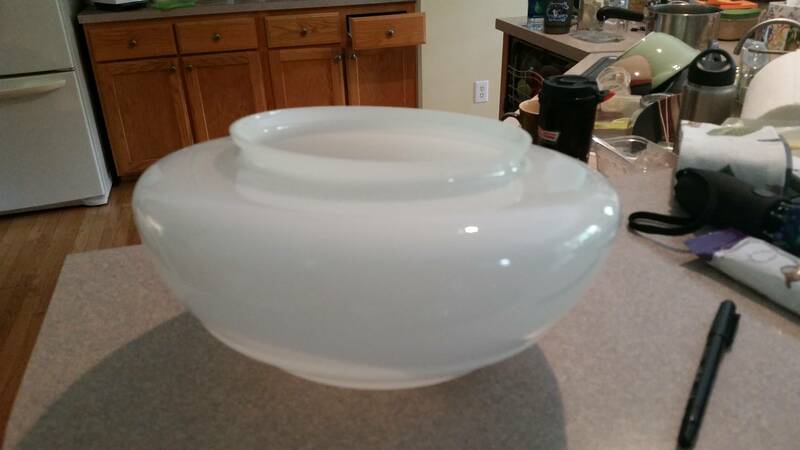 Click here for the ceiling fan light covers that we sell online and in our stores. That was a pic of the ceiling fan. I actually have two of them, exactly alike. So, I still have one good globe, on my other fan. The globe measures about 6.25 inches across the inside of the opening. It measures about 6.5 inches across the opening from the outside edge to the outside edge. Total diameter across the widest part of the globe is about 10 and 3/8ths inches and the height of the globe is 5 and 3/8 ths inches. If I purchase from Home Depot, how much and how long will it take to arrive? I live in Jamestown, NC. Thank you for your help in tracking this down. I did go back and look through all of the globes posted on the HD website that you sell online. I didn't find anything that was exactly the same. Does this mean that I will need to keep looking elsewhere for replacement covers? I talked to the electrical associate at my Home Depot and I asked him to measure the inside measurements of the ceiling fan globes that we sold. It doesn't look like we sell any globes that will work with your fan. :-( The inside measurement options are either 5 3/4" or 7 3/4". I would highly recommend going to your local Home Depot store, with the globe that is still intact, and talk to the electrical associate at your Home Depot. It is a possibility that the globes in stock at your store are different than the ones that are in stock at my store. 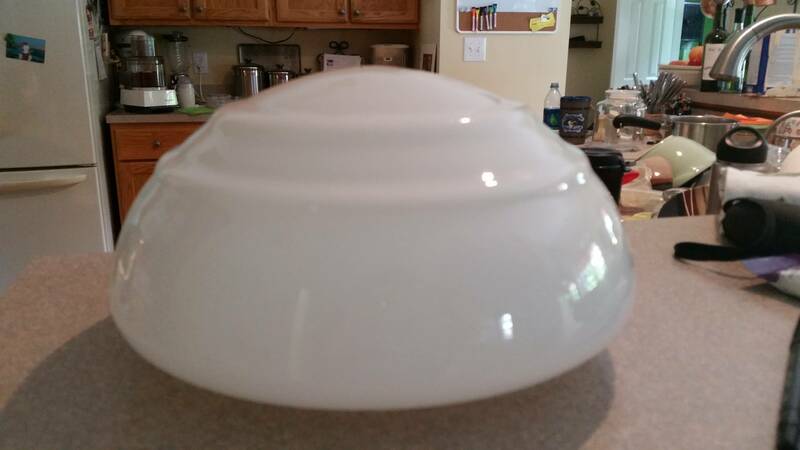 If necessary, you may have to replace the entire light kit to fit a different size globe. Please let us know if we can be of any more assistance! I see that Christine_HD_ATL has already given you some great information, but if I may, I'd like to add another thing that may be of use to you. You are right about not finding a fitter size for your Hampton Bay fan, it's not exactly the most commonly used and it isn't sold in our store. However, you can contact Hampton Bay directly at the number below. Be sure to have your UPC and SKU number available of the fan. While I realize they won't be able to sell the fan as a whole, you very well may be able to get the replacement glass globe. The replacement parts generally take up to 5 business days to arrive at the store or your address, typically.